The medium Sullivan 2 light floral Tiffany table lamp incorporates a richly coloured, floral Tiffany design with traditional dark bronze finish fittings. 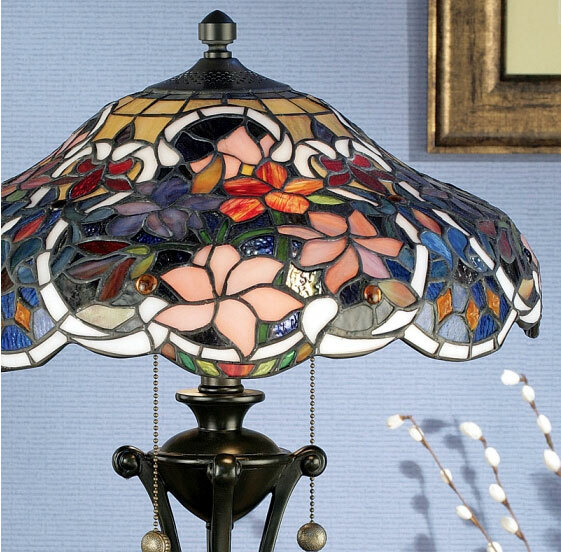 Beautiful bright colours of stained art glass are plentiful in the Sullivan Tiffany lamp range. From deep reds, green, blue and amber the floral display in this 40cm Tiffany table lamp will never cease to attract the eye as each of colours, light up in a fascinating enchantment. With feature on/off pull chain switches and beautifully shaped Tiffany lamp base. 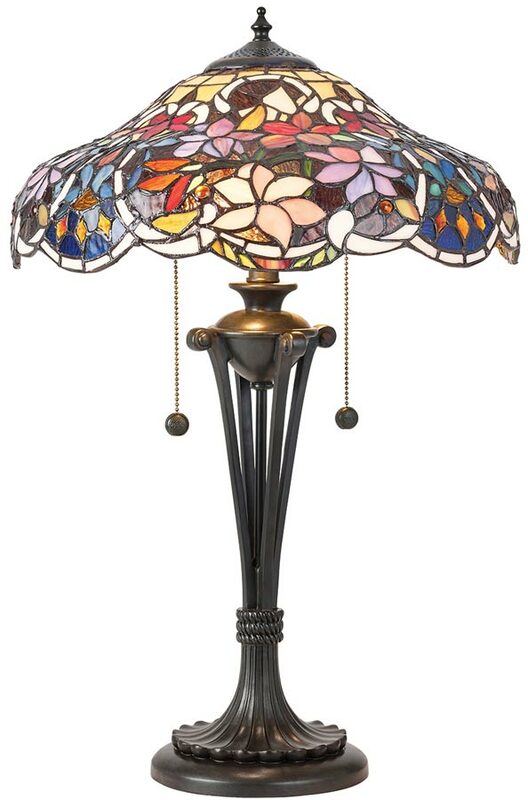 This is a hand-crafted Tiffany shade table lamp and the colours may differ slightly from the image shown, as each piece of glass is hand-made and may differ slightly in colour or shade. This should not be seen as a fault, rather something that makes each Tiffany shade unique. 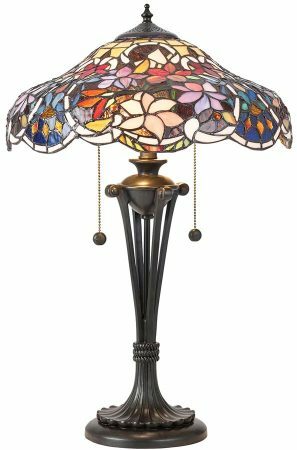 The medium Sullivan 2 light floral Tiffany table lamp, designed and manufactured by Interiors 1900.